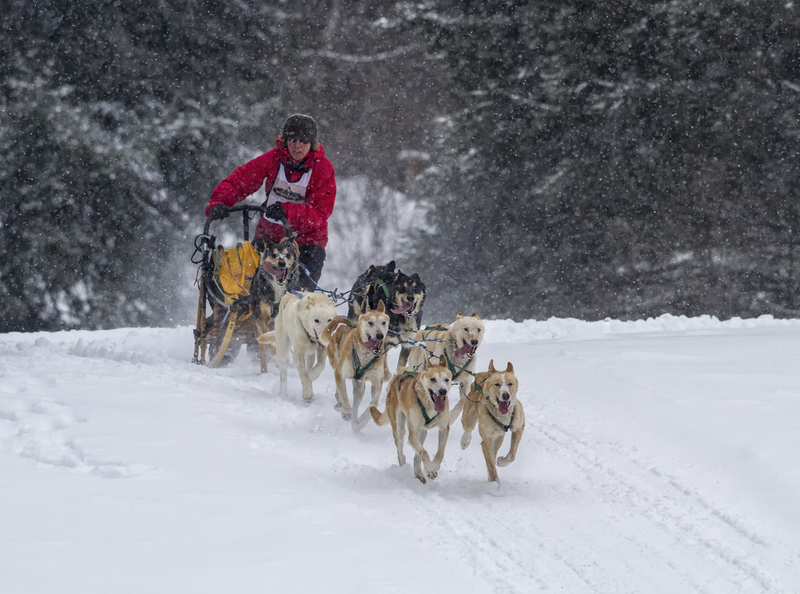 This winter, try dog sledding in Ontario. Half the fun is being with the dogs, seeing them do what they’ve been bred to do, especially new team members. “You can almost see the switch in their brain go, and they instantly become sled dogs. They’re hard in their harness, they’re pulling, they’re running, they’re smiling, they’re having a great time. “There’s no connection so the work ethic of the dog and the knowledge of the musher just are not there in order for them to perform at a high level,” says Blenkinsop. “They are living animals, not machines,” Blenkinsop explains. “When you’re going up a hill, you want to be helping the dogs out. So you have one foot on one runner and you’re paddling along like you were on a skateboard.” Imagine pulling a child or two in a sled; going uphill gets tough fast. 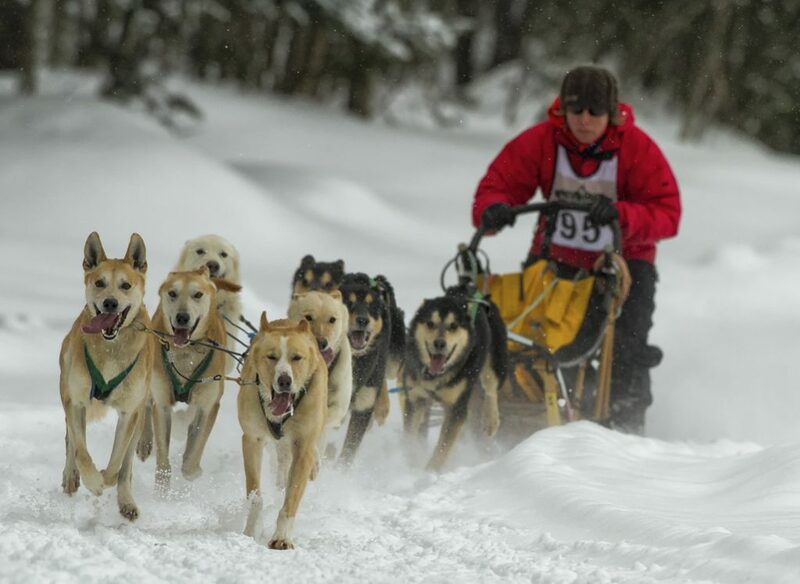 On steep hills, the musher will need to walk behind the team.